ONE OF THE MOST READ ARTICLES since I started posting this column on my blog, www.soccertalknigeria.blogspot.com, was The El-Clasico of Western Nigeria published online on February 19, 2014. Stationery Stores of Lagos and Shooting Stars (3SC) of Ibadan. 3SC would go on to win promotion back to the elite division at the end of that 2014 season, while Stores failed and faded into the horizon. But the wide interest that the article attracted confirmed to me that Nigerian football fans still had a lot of love for local football, despite the influx of foreign football leagues via satellite television. This is September, 2016. In the past few weeks, my attention has been drawn in equal measure by both the Nigeria Professional Football League (NPFL) and the English Premier League (EPL). While the NPFL 2016 season is drawing to an interesting climax, the new 2016/2017 EPL season is just beginning to catch fire. As usual, there are a lot of talking points in both leagues. In the NPFL, the dominant story has been the indebtedness of most clubsides to their players as the economic recession in the country bites harder. Then, there's the ongoing Giwa FC versus NPFL court saga which remains unresolved even as the season has entered the home stretch. On the positive side, Enugu Rangers are closing in on a first title in 32 years, with Rivers United and Wikki Tourists breathing down their neck. At the wrong end of the table, 3SC (again! ), MFM, Warri Wolves, Abia Warriors and Heartland are battling to avoid going down with confirmed relegation candidate Ikorodu United. In sharp contrast to the money crisis at most NPFL clubs, the dominant story in the EPL pre-season was how the teams splashed the cash and broke all manner of player transfer records, thanks to television rights money. Then, of course, the huge anticipation of the battle among some of the top managers in world football congregating in the EPL hogged (and is still hogging) the headlines. I have purposively selected Ikorodu United and Manchester United to headline my discussion of both leagues today because of the interesting contrasts that they represent, despite being "united" by name. Ikorodu United are a low-budget, small club with big dreams outfit who are already doomed for relegation in the NPFL while Manchester United are a certified financial power-house in world football parading the most expensive footballer on the planet. 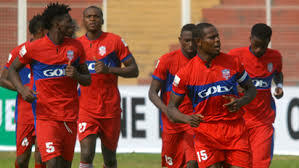 I was drawn to the Ikorodu United story by their recent mini-resurgence which saw them beating Heartland (1-0 away), Kano Pillars 4-1 and Enyimba 3-2 in successive league games. For a club that had been at the bottom wrung of the table all season, those were no mean feats against some of the top teams in the Nigerian league, especially Pillars and Enyimba who are serial champions. I was curious to know the secret behind Ikorodu's sudden reawakening. It turned out that it was their new Dutch coach, Theodorus Jacob de Jong, who replaced Sam Okpodu that was doing the magic. The former Dutch international who is touted as a contemporary of the legendary Johan Cruyff, has reportedly reorganized the team tactically, injected the players with confidence in their own abilities and got them performing to their true potential. Unfortunately though, it appears that de Jong arrived on the scene late. By the time he took over mid-season, the Lagos club had fallen so far behind that their recent heroics of collecting nine points from three consecutive games couldn't close the gap on their rivals. Last weekend in Jos, Ikorodu United finally were mathematically relegated following their 1-0 loss to Plateau United. But it is clear that if the club management are able to hold on to the Dutch coach for a reasonable length of time, Ikorodu will be back in the top league very quickly and they will be a completely different prospect for the big teams when they do return. Incidentally, I stumbled on a radio interview with the club owner, Barrister Adewunmi Ogunsanya in which he expressed confidence that de Jong will be staying on, "relegation or no relegation," because the Dutchman believes in the long term vision of the club. After I listened to the club management model espoused by Ogunsanya which he claims has ensured that the club still pays salaries and bonuses of players and crew as at when due despite the economic recession in the country and despite not having a large fan base just yet, I must say that I was highly impressed and I believe that other clubsides in the league, both private and government-owned, have a few things to learn from the Ikorodu United model. More on this later. While Ikorodu United can claim that they are under no pressure whatsoever despite being relegated from the Nigerian top flight, the direct opposite is the case with their distant "cousin" Manchester United where the word "pressure" appears to have secured permanent residency at Old Trafford after the club suffered three straight losses last week under the "Sad One" Jose Mourinho. A 2-1 home loss to city rivals Manchester City in the EPL was followed by 1-0 reverse away to Feyenord in the UEFA Europa League, and another 3-1 defeat to Watford back in the EPL. Suddenly, United's opening three wins in the EPL are looking like a flash in the pan. In my opinion, Mourinho prepared himself and United for a season-long scrutiny when he apparently pushed the club's American owners to shell out a world record £89million transfer fee for French midfielder Paul Pogba. It was certain from that point that anything less than "world record" performance every single game of the season by the club would attract big question marks about the wisdom behind the Pogba purchase. It is therefore not surprising to me that the new season is only just over a month old and the pressure is mounting on Mourinho already. Some might say that it's early days yet which is true. They can point to Arsenal who dropped five points from their first two games in the league but have quickly leap-frogged United on the table with three wins on the bounce. But Arsenal remain five points adrift of leaders City who have scored a perfect 15 points after five rounds of matches. My theory at the start of this season (which I still hold) on how the EPL title race will be decided is that teams that fall too far behind the leaders will never be able to catch up. Unlike in the past when you had a two-horse or even three-horse race for the title and you could afford the momentary slip and then make a come-back when your rivals inevitably also slip up, this season is different because it's a four or even six-horse race and you can't bet on all your rivals slipping up simultaneously. Therefore, any club that falls short early on can simply kiss the title goodbye. In fact, my prediction is that as early as the 10th week of the EPL season, any clubs that are not within a nine-point shout of the leaders should simply forget about winning the title. The margin for error has narrowed drastically. This brings into sharp focus, Arsenal manager Arsene Wenger's argument some years ago that finishing in the top four in the EPL should be considered as an achievement. Wenger was vilified then for making that assertion, but I think his claim is true of the EPL now. So many clubs now have so much money coming from TV revenues that they can now afford to buy top players and sign top managers. With more clubs now capable of winning the title whereas only one will actually win it, a top four finish truly must rate as an accomplishment. Back to United and Mourinho, it might be too early to talk of a full-blown crisis in the club, but the signs of a possible break-out have always been present. Following two underwhelming seasons under David Moyes and Louis van Gaal, United fans are hungry for a quick return to the glory days under Sir Alex Ferguson. Mourinho is touted as the one that will be bring back those glory days and he has repeatedly stoked the fire of expectation with his rhetoric. But the truth is, United did not even make the top four last season and the quicker the coach and fans moderate their expectation and accept Wenger's top four theory, the better for their collective well-being this season. Although I am a Liverpool fan and I want my Reds to win the league title, still I sincerely wish United and Mourinho a quick recovery to winning ways so that they could be part of a long tussle for the title even if they don't win it in the end. The tighter the race and the larger the number of competing teams, the more exciting the title hunt will be. But if Manchester United fall by the wayside early in the EPL like Ikorodu United did early in the NPFL, the English team may have a lot to learn from their Nigerian cousins on how to cope with adversity.